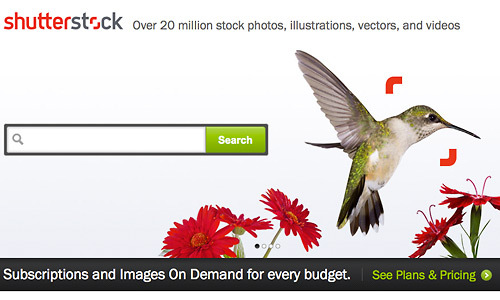 Shutterstock is a New York-based innovative company established in 2003. Having operations in over 150 nations worldwide, it prides itself as a bilateral market arena that aims to bridge professionals with quality photographs, images, vectors and videos. Available in 10 languages, Shutterstock holds a great number of contributors all over the globe. Shutterstock.com provides the best stock images that are free from charges or royalties. This is possible because the website offers a subscription where buyers can purchase and browse through a collection of image libraries having millions of image in storage. The subscription allows them to download whatever stock image of their liking. 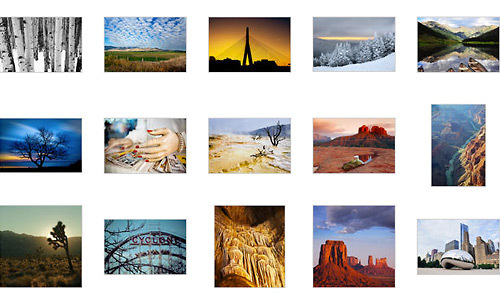 Stock image subscriptions at Shutterstock usually vary depending on the subscription plan chosen by the buyer. Typically, prices are between $49, which allows 5 annual downloads, to $2559 for almost 10,000 annual downloads. For those looking for a more economical way to subscribe at this website, the 25/day subscription is highly commendable. Per Image costs in this category usually range at $.28 to $.38. These price rates are a total knock-off against other websites. In addition, this subscription option allows the user to store numerous images for the future. The on-demand subscription option is another plausible choice. It is a competitive option on-site since it has two sub-choices to choose from. For one is the $49 on-demand subscription that offers 5 downloads on a yearly period, and two is the $229 on-demand subscription that offers 60 photo downloads every year. In general, the plus side of this subscription option can be enjoyed by those who do not purchase a great number of images on a regular basis. The last Shutterstock subscription offer is named “enhanced license subscription.” This is a great advantage when used commercially. This offer starts at $199. Moreover, creative professionals like illustrators, photographers and videographers can upload their masterwork to the site and earn whenever a buyer downloads their content. Because of these, Shutterstock has become a highly-recommended microstock website among professional photographers and even neophytes and amateurs. But earning through this stock image website is never easy—especially with compounding competition available these days. Accessibility by other users to your image library will be a great point to consider. It is very difficult to earn from such kind of website when no one visits or views your works. The role of a good “keywording” in this situation is very much needed. Specificity is also another criterion that is essential to earn more at Shutterstock. Vague or general terms found in the image titles are rarely discovered or noticed. But then again, overstuffing will not be good either since admin might delete the entries or worst the account will have negative standing in the site. Finally, every user can be assured that every image, vector and footages found at shutterstock.com are screened for high standards and encompassing quality. Thousands of photo genres are stored in the website to assure that one image can capture the eye. It is but because of such passion to offer the best the key to the online success of Shutterstock today. 2/7/2013 – Shutterstock coupon code returned the error “expired.” I’m sure it was entered correctly. It is expired! Didn’t work for me as well! I have updated the coupon. It should work now. Enjoy the discount! I also received an “expired” message. I tried 3 times. A new coupon code has just been updated. It should work now, enjoy the discount! It is only valid for annual subscription.